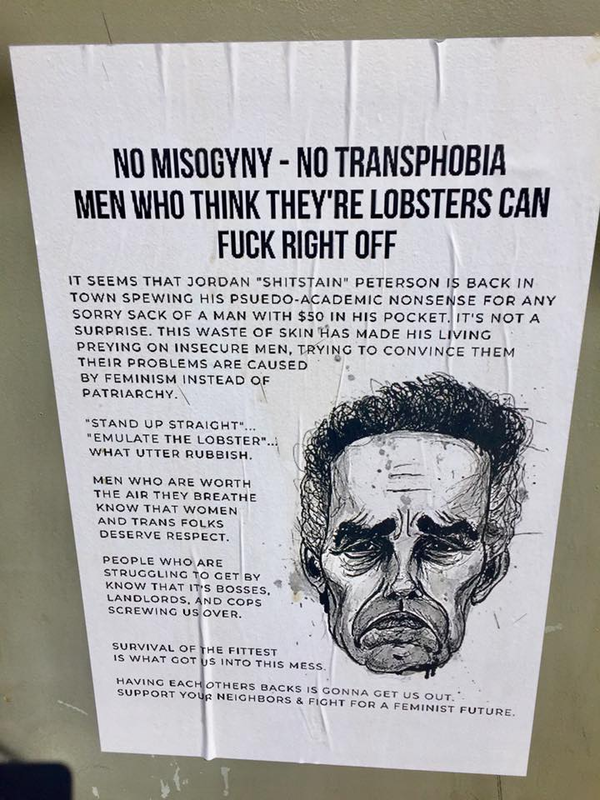 Posters against Jordan Peterson up around Hamilton. Pretty weak counter argument, as usual. A willful misunderstanding of what the man is saying. 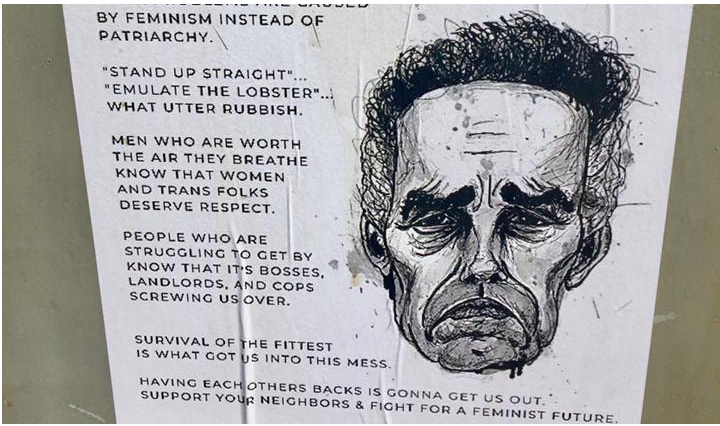 Then surely you could take a minute to educate us on what “the man’s” true views on lobsterism might be?